Join us in our mission to turn Georgia Blue. Learn what we are doing and get involved in our monthly Fulton County business meetings. 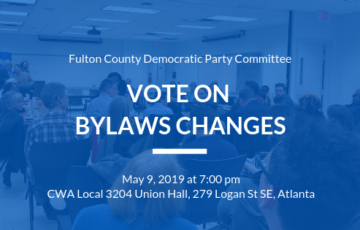 These meetings are held at 7:00 PM on the second Thursday of each month at the IBEW Auditorium at 501 Pulliam Street, SW, Atlanta 30312. 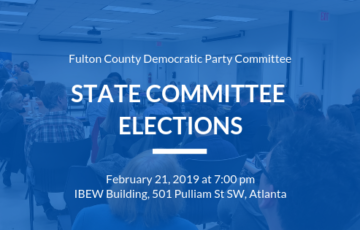 Join us at 6:30 PM for dinner and to mingle with other passionate Fulton County Democrats. Fulton is the largest county in Georgia, measuring 72 miles from top to bottom and home to over one million Georgians, or 10% of the state’s population. 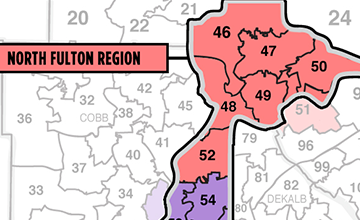 We encourage everyone in the county to join our Fulton County monthly meetings, however in the spirit of being hyper local, we have split the count into 3 regions to focus on specific regional issues. The North Fulton region contains areas north of I285 and the Sandy Springs area. The Mid Fulton region includes all areas south of Sandy Springs and I285 and north of I20. 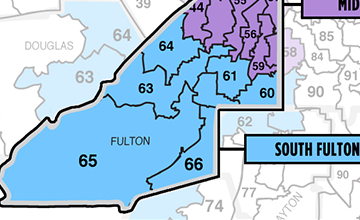 All areas of Fulton County south of I20 are part of the South Fulton region. 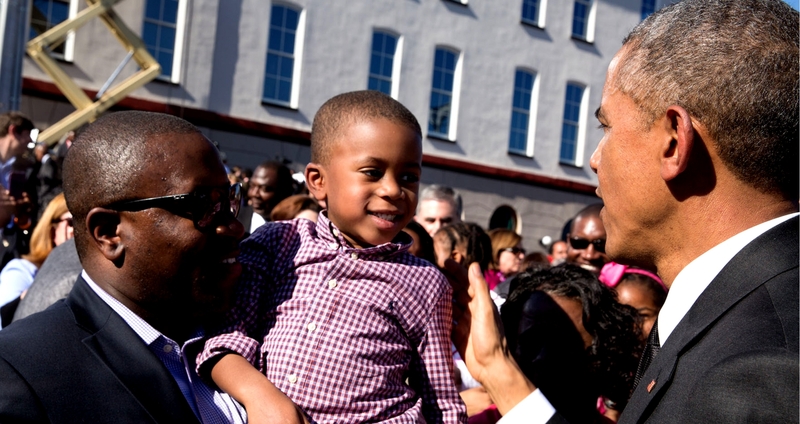 “Democracy works, but we gotta want it – not just during an election year, but all the days in between” – President Barack Obama. The right to vote is fundamental — it is the right that protects and expands all other rights. 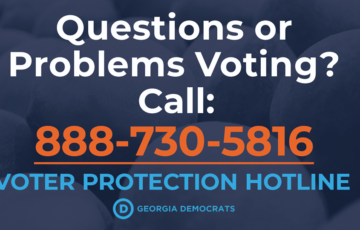 Let us help you make sure your voter registration is up to date, explore ways to vote and see who your current elected officials are. 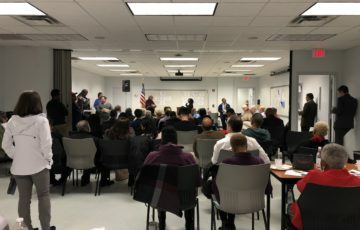 Sign up for our newsletter so you don’t miss out on the latest updates on our fight to push Fulton Forward.